Even the most promising projects can get quickly sidelined with one small misstep. But if you identify issues early on, you can avoid them completely and get ahead of the situation before it comes back to bite you! 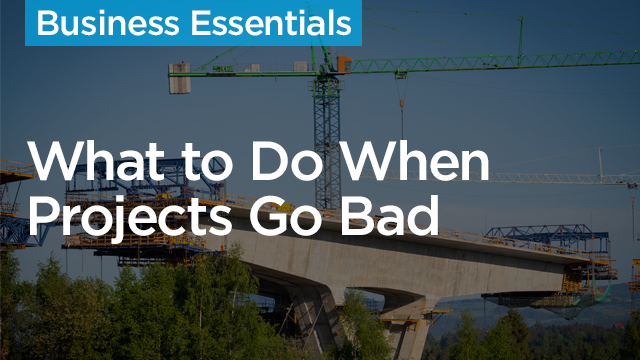 In this webinar course, we’ll explore some of the key issues that contractors, architects/engineers, and owners encounter on their projects every day. Even the most promising projects Learn how to identify red flags of key issues that contractors, architects, engineers, and owners encounter on their projects every day. Identify the steps your organization can take to avoid making mistakes. Identify how to "right the ship" on a project that is not going well. Learn how to increase accountability within a collaborative team atmosphere.